Elemental Methods is working with the Harte Research Institute for Gulf of Mexico Studies at Texas A&M University – Corpus Christi in the development of iPhone and iPad apps, along with an associated website, for the purpose of collecting fisheries information from “For-Hire” and Headboat captains located along the Gulf Coast. 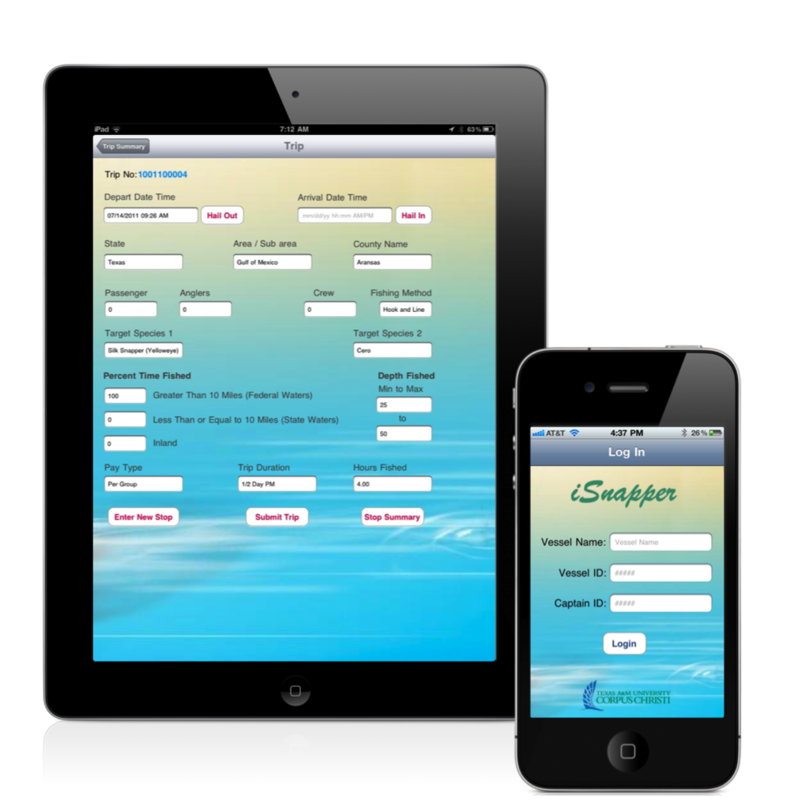 The iPhone, iPad, and website applications collect species-specific information as required by the Gulf of Mexico Fishery Management Council and interfaces with the Gulf Logbook data collection program to report catch information. This project, funded by a research grant, is part of a larger study to determine the productivity of recording catch information using smartphone and tablet technologies. Yes…any captain who wants to know the difference needs to be given a clipboard with paper forms and an iSnapper iPad. Unless they still plot their trip on paper charts and use a sextant, they will take the iSnapper hands down. Yes. I am sold on e-reporting. This is the future. Much easier and less time consuming than submitting online…a clipboard and wet paper is “stone age”. Overall, I think it’s the way to go. The fact that the data is sent in the same day is really going to make fish data more effective and useful. No more waiting for results.